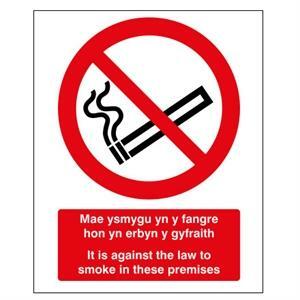 No smoking - It is against the law to smoke in these premises (English and Welsh). Manufactured in 1.2mm rigid polypropylene or self-adhesive vinyl. 210mm x 148mm.